This September I am launching a revolutionary podcast which will aim to educate, motivate and inspire the younger generation. This cutting edge podcast will broadcast weekly and feature topics such as training, nutrition, visualization, mental conditioning by featuring interviews with interesting, motivating and inspirational speakers on their area of specialty. Simon is the double national senior champion and national record holder in the sport of weightlifting. Simon explains the "why" to what he does. Simon is a reflective and philosophical thinker. On this episode, Simon speaks clearly and freely about passed struggles with his attitude as a child growing up, the difficulty regarding his openness about his sexuality and Simon opens up about the darker days in his life suffering from depression. This Episode is for the attentive and self-aware listener that can relate to the deep and emotional conversations that the majority of Irish people hate hearing or having. With difficulties come adversities and this is why this episode allows for a very affecting and meaningful listen. Shane Flynn is the owner of Next Generation Speed and comes from a background football turned bodybuilder. Shane is a clinical thinker and on this weeks episode talks about how the listener can successfully implement new years resolutions without failing after a few days or weeks of change. Shane is a well known sportsman around the town of Mullingar and he opens up about his own experience in struggling with motivation, business and negativity and how he turns his own setbacks into comebacks. Shane is to the point and believes in what he says through experience and success in what he has done in life. This information provided is contaminated with a personal story which makes for a great listen. Jack O' Leary is a hugely talented and driven athlete that talks about his recent experiences at the European Cross Country where he represented Ireland. Jack opens up about his struggles with endless injuries and how he has remained focused to turn a temporary setback into a worthwhile comeback. Jack tackles the issue that many young Irish schools athletes experience of taking the leap of faith to try and make it in the American College system and he has his say in why they should embrace it in order to become the best athlete they can be. Jack also talks about mileage, training and the reason one loves running. This Episode is running focused and a perfect episode to listen on the move or even on a run. 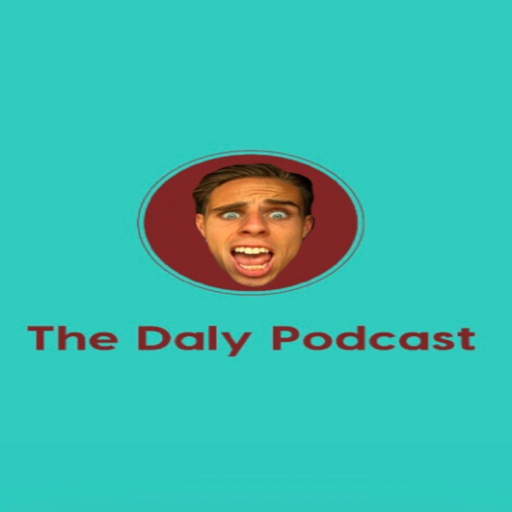 Share across all social media to keep the Daly Podcast movement going. Damien Shaw is a professional cyclist and the 2015 Irish National Road Racing Champion. Damien is a late bloomer to the sport of cycling and on this episode Damien takes us through his late beginnings with cycling, the importance of implementing the correct mindset in sport, his recovery strategies and nutrition he implements with his own training and what it takes to be the best athlete. The most talked about snapchatter In Ireland finally gets his long awaited episode. Shaggy Boy talks about his rise to popularity, rating fillies, dealing with the haters and the buzz. Evan Scully holds nothing back in this intense and exciting episode. Evan has Cystic Fibrosis and delves into his incredible journey through life as the fastest ever runner who has Cystic Fibrosis from the 5km to half marathon. Evan talks about his time with the mysterious and highly successful Oregon Project and gives the listener access to all areas regarding his run ins with the ever questionable Alberto Salazar and Mo Farah. Evan was also the Physio for the Olympic champion in 2012 and many questions remain overhead to this champions legitimacy whether he runs as a clean athlete or not. Evan tackles these questions head on which I believe the listener will find extremely interesting. Evan also talks about doping in Kenya through the eye witness accounts he experienced while working over there. Listen and learn things are about to get heated! Elan Darcy is a Personal Trainer, health and fitness expert who is working with Zest Fitness in Dublin. Elan delves into his journey through life as he explains the importance of his failures and how it motivated him to learn from them and better himself. Elan gives his advice with regards to opening your own business and how you can achieve this. Elan breaks down the meaning of nutrition and the unlimited amount of diets out there. Elan's experience and knowledge is an excellent listen and I really believe the listener will find this episode beneficial and inspiring. On this weeks episode I delved into the mindset of Simon Carr who is a professional tennis player and is the number 2 ranked tennis player in Ireland and 900th in the world. Simon brings the listener through his weekly training, the challenge he faces climbing the ranks, unusual occurrences he has experienced in all corners of the world and the experiences he has in dealing with negativity on social media from crazy gamblers. This weeks episode features Laura Gallagher who is the number 1 female bodybuilding bikini competitor in Ireland and the current champion of the NBFI (National Bikini Championships). On this weeks episode Laura talked about her journey from suffering with weigh issues to training in her sport, Laura also talks about her nutrition, training and prep for competitions in particular the worlds coming up in LA. On this weeks podcast I interviewed David McCarthy. David is the eighth fastest 1500m runner ever in Ireland and has smashed the 4 minute mile running 3:55. He is now a coach and his experience and lessons learnt from running is analysed intrinsically in the episode. © 2019 OwlTail All rights reserved. OwlTail only owns the podcast episode rankings. Copyright of underlying podcast content is owned by the publisher, not OwlTail. Audio is streamed directly from Johnny Daly servers. Downloads goes directly to publisher.